The purpose of this project is to remote monitoring and control of the Domestic Energy meter. This system enables the Electricity Department to read the meter readings regularly without the person visiting each house. This can be achieved by the use of microcontroller unit that continuously monitors and records the Energy Meter readings in its permanent (non-volatile) memory location. 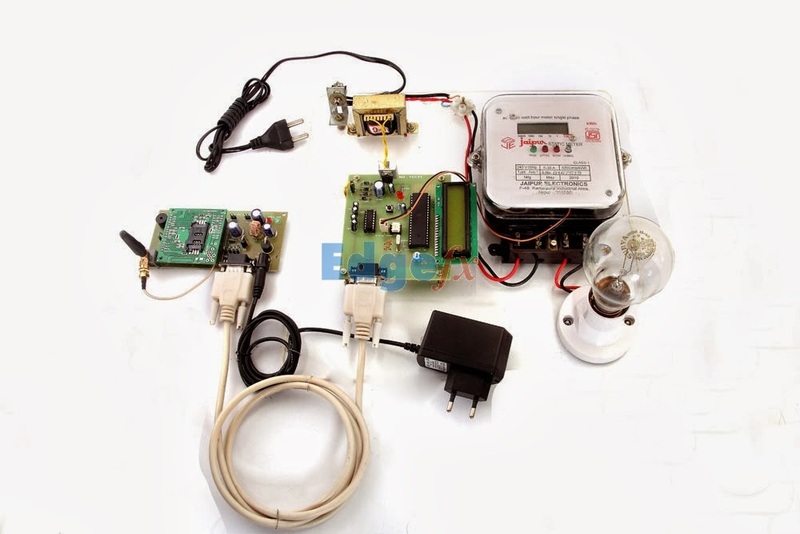 This system also makes use of a GSM modem for remote monitoring and control of Energy Meter. The Microcontroller based system continuously records the readings and the live meter reading can be sent to the Electricity department on request. This system also can be used to disconnect the power supply to the house in case of non-payment of electricity bills. A dedicated GSM modem with SIM card is required for each energy meter.